In the baseball movie Field of Dreams, a haunting voice from an invisible source tells the farmer, “If you build it, he will come.” Soon he’s creating a baseball diamond in his cornfield. It’s an attractive idea that if you build the right something, another something that you want will show up. But if you want to invite butterflies to lodge in your backyard overnight or during winter, building pretty butterfly houses won't succeed. A good saying for attracting butterflies might be, “If you leave the garden alone, they will come.” Butterflies aren’t attracted to tidiness. They need messy hangouts to get through winter in your garden. So relax a bit. You can build a butterfly hostel without hammer and nails. When it is nighttime and during wet weather, butterflies like to cozy up under leaves, between rocks, in tall grasses, shrubs and other spots that offer protection from predators and precipitation. The fuzzy black-and-rust Wooley Bear Caterpillar (Pyrrharctia isabella) enjoys the accommodations under leaf litter so much that she or he will spend the whole winter there. Sure, you can spend time bashing your thumbs and getting paint all over your clothes while building cute butterfly boxes, but you might as well post a permanent “vacancy” sign on them. The North American Butterfly Association and the Washington Department of Fish and Wildlife say they don’t work. This is because butterfly boxes don’t sufficiently simulate a butterfly’s natural choice of lodging. Some butterflies hibernate as eggs or as pupae – chrysalises – and some winter over in adult form. Others migrate to warmer climates, then return north to feed on nectar, lay eggs and pupate. 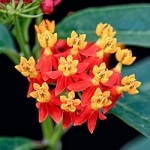 Tropical species that have everything they need nearby don’t migrate or hibernate. In order to be a gracious butterfly host in northern climes, it is necessary to let go of tidying in at least part of your yard during autumn clean up. The first step is to not rake up all the leaf litter. Also, allow some of your grass to grow tall, because a number of butterflies like to lay there eggs on grasses where they may cling all winter long. You may also want to make a note about adding some pretty ornamental grasses to your butterfly garden come spring. If you have a woodpile, transfer it to a spot near your butterfly garden to create a winter lodge for non-migrating species. Lay the layers of the pile in alternating directions, adding some brush every now and then. Top the pile with a piece of tough, plastic drop cloth anchored with small rocks to keep excessive water from penetrating the layers. The crevices are a good haven for butterflies whether they pupate there or winter over as adults. 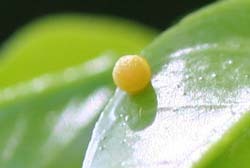 Finally, if you look at foliage in your garden before doing light autumn trimming, you may avoid evicting tiny butterfly eggs from leaves of plants, such as Milkweeds, or chrysalises from bushy Salvia branches. Even if you don’t have time to search for signs of hibernation, you may increase your winged visitors come spring by leaving some dead foliage in your butterfly garden for later clean up. Leave it be, and they will love it. 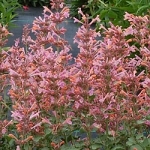 At FBTS, we offer many butterfly plants, including Agastaches, Milkweeds, and Salvias. Please contact us if you have any questions about our choices for small wildlife. My plants arrived quickly and in very good condition. With watering they were completely revived within a few days and are thriving in the garden.